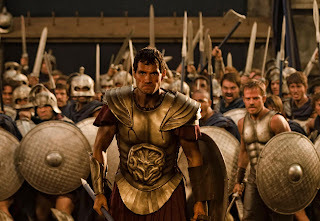 Discover eternal life when Immortals arrive on DVD and Blu-Ray March 6. This epic film centers around a mad and ruthless king (Mickey Rourke) who is on a mission to find the one weapon-Epirus Bow. This weapon can free the imprisoned Titans, mortal enemies of the Gods, and end the rule of the Greek Gods of Olympus and destroy humanity. Chosen by Zeus, only one man a stonemason named Theseus (Henry Cavill) can stop him. With a small band of followers, Theseus must embark on a quest to embrace his destiny and save the save both the mortals and immortal world. To celebrate the Blu-ray 3D, Blu-ray and DVD release of the epic film IMMORTALS on March 6th, Twentieth Century Fox Home Entertainment and America’s Blood Centers are organizing blood drives at 30 select universities across the country starting this week and continuing through March 9th. Students and participants will experience Director Tarsem Singh’s visually stunning film, pick up exclusive IMMORTALS premium items, while donating blood at their local college campus. For full details regarding these blood drives and participating center information, including campus drive updates, please visit the Fox Connect Facebook Page: https://www.facebook.com/FoxConnect.